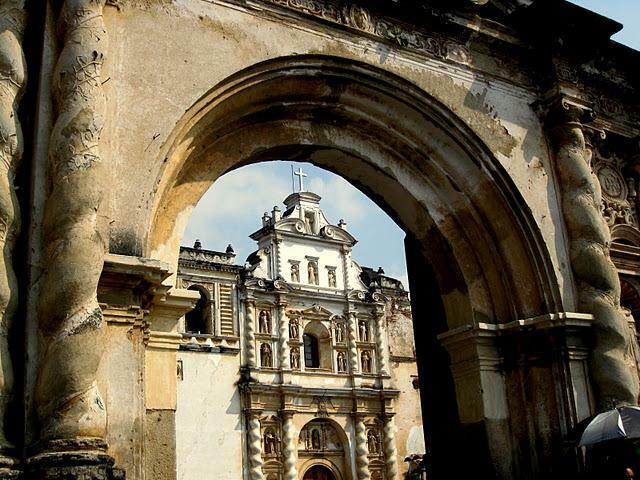 Hellohe Charming Antigua Guatemala (5000´.a.s.l.) was declared World´s Heritage Site (UNESCO 1979), founded by the Spaniards in the middle of the XVI century under the name of Santiago (circa 1543). 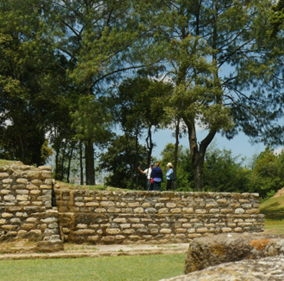 Over two centuries Antigua was the headquarters of the Spain´s Imperial Power in Central America. 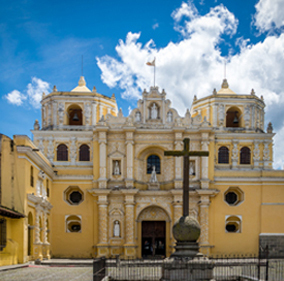 Antigua is among the world´s best conserved colonial cities, it is magic and captivating small town that makes the visitors feel time had stopped some 300 years ago. 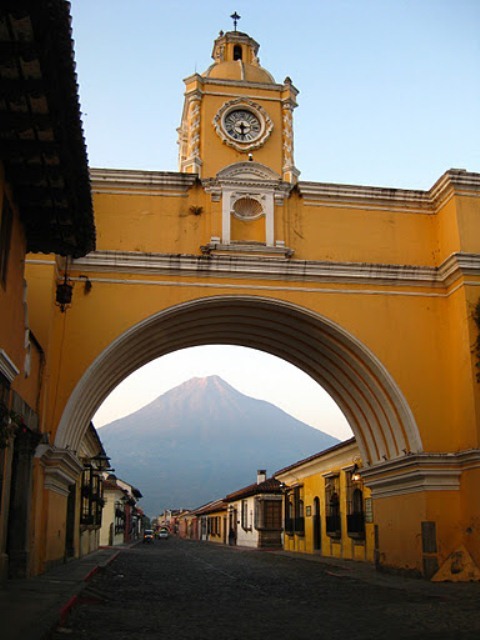 Antigua is close to Guatemala City (1 hour drive) and is probably the most common tourist destination in the country. A good place to start a walk of this monastic town is the “Plaza Mayor” or the square which in the center has the “Mermaids Fountain” (circa 1739), then a visit to the “City Hall”, “The Palace of the Generals Captain’s”, and the “Cathedral” is advise, the fourth side of the square is occupied by souvenir shops, coffee shops, library, jewelry and others. Our walk will lead us to la “Merced Church” following the Arch street which is the Restaurants street, there is 26 monuments (ruins) in the historical part of Antigua, the best preserved and open to visits is the “Church and Nunnery of Our Lady of el Pilar of Zaragoza (Capuchinas)” 4 blocks away from La Merced Church. 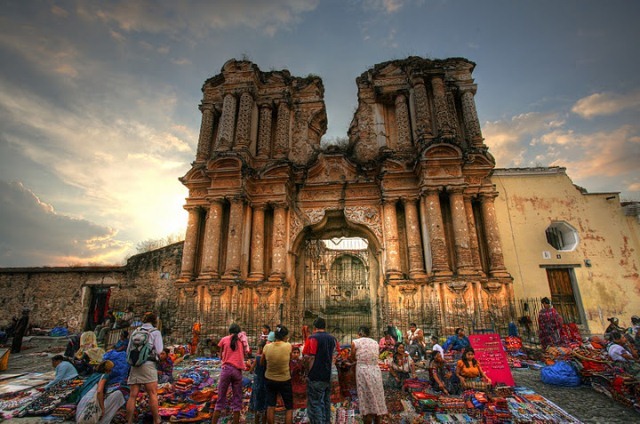 From Las Capuchinas we can address our steps to visit the Antigua´s Saint burial place at San Francisco El Grande Church, the tomb of brother Pedro is the only Saint Canonized in Central America is a point of pilgrimage for many catholic believers. A visit to the city includes the visit to one of the Jade Factories which offers free guided tours to visitors. There is so many places to see in Antigua that a day visit is not enough time. After having lunch at one of the good local cuisine restaurants a short drive will take the visitors to one of the maya Kakchiquel villages that surrounds Antigua famous because its weavings. Antigua´s Genuine Coffee has been declared “The best choice” in 2009 so a visit to a coffee farm is highly recommended to explore its process and taste the flavor of this exclusive “Aromatico”. 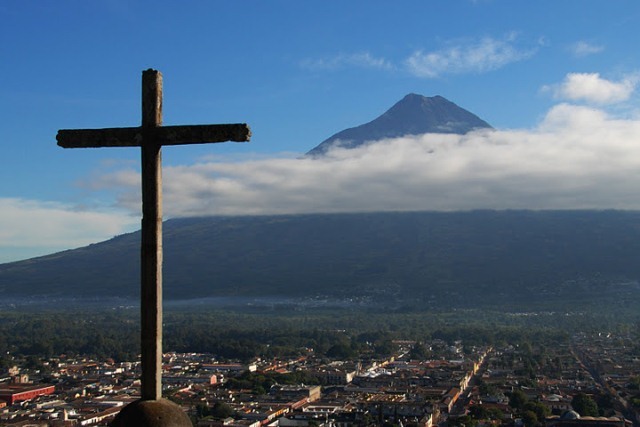 Close to Antigua is the Mayan village of Santa Maria de Jesus where a trail to climb the water volcano begins and is use by the hikers trying to reach the volcano’s Summit (6 hours).